Thank you for your comments, experiences and hunting results! Feel free to enter your website , or your favourite golf-website (your club, shop , or favourite players website etc.). Great at finding balls, crap at spotting deer. great little gadget, does 100% what it says . thanks, Henry!!! been out in local course Kilmarnock (Barassie) gc and have found roughly 200 balls in 2 nights of searching (just over 2 1/2 hours worth) great thing to have and definitely not a gimmick. Bought this for a bit of fun and read good reviews. I often buy gadgets and most are rubbish. This is the exception however, wasn't expecting much but blown away with the results! 1st session was a 10 minute dog walk and found 6 balls. 2nd was 2 hours in wet grass and got 76. 3rd was in the damp too and got 112. Almost too easy! balls show up like a lightbulb in the long grass and gorse! The Nite Hawk kept popping up on my facebook page, i ignored it for weeks then eventually curiosity got the better of me. I'm a sucker for gadgets and decided why not? Within 4 hours of opening the parcel, i have been to the course for half an hour and am back home with 30 balls, 5 of which are Pro V1s, one of them BRAND new. 10 more Pro V's to go and the torch has paid for its self. Thank You very much for a GREAT gadget !!!!! tested on barlaston....worked out !!! 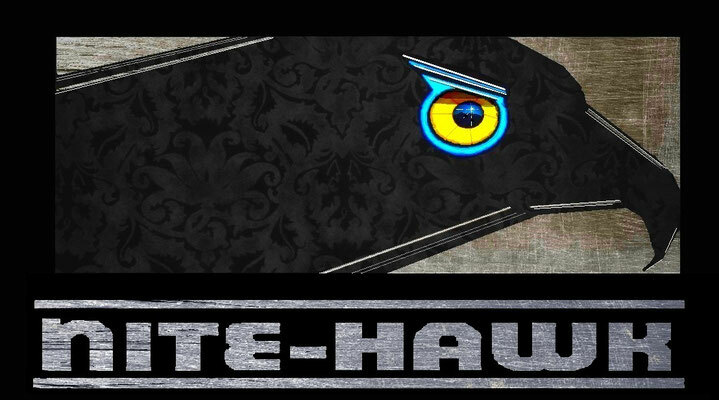 I am totally hooked and have been out several times since my magic Nite-Hawk arrived. Over 800 golf balls in just over a month. The yellow and orange balls glow like Christmas lights. Totally recommended and great fun. The pitch-mark repairer is very useful too :-) Many thanks Bjorn. Great fun!!! Found 94 balls first time out. will be out there again soon as the rain eases. Picks up balls from over 20 metres away!!! This is an amazing bit of kit! I've been out at my club twice after dark since I bought a Nite Hawk Predator; on the first occasion for 30 minutes and the second for 40 mins and found over 70 balls on each separate occasion! 60+ of these were 'as new' premium balls that retail at around £30 a dozen and the others were mostly premium balls with some slight wear. What a great investment this has been already! Thanks.